Nannies in DC work wonders with children of all ages! Nannies in DC often develop a lifelong relationship with the families they work with, and Maria is no exception to this! "I am a very caring, compassionate, open-minded and respectful person. If I was asked to describe in one sentence the reason I have chosen to be in the Nanny profession over any other it would have to be because I love children and want to be part of their mental and emotional growth on a more personal and one-on-one level. I have been serving in some form of childcare experience for over 15 years and can honestly say I enjoy what I do! I feel the children are a very important part of our community who need guidance and love to reach their full potential as human beings. My goal as one of the Nannies in DC is to provide a safe environment for the children where they can learn and grow with love, respect and discipline. If I had to describe myself in five adjectives I would say that I am compassionate, respectful, patient, open-minded, and cautious. Activities that I would like to incorporate in the daily plan for the family I care for would include educational activities/games, outdoor activities, and open-communication. If asked to describe the perfect family seeking a Nanny like me I would hope they would be loving, respectful, open-minded, and trusting!" "Maria fulfilled all the duties that were required of her. She was always willing and able to help. Maria is truly a wonderful person! My son was always happy to see her. She always made sure my son was always well taken care of and safe. My main priority was that and she always met those requirements. Maria was very creative and found ways always to keep my son content. I highly recommend her for the Nanny position. A family will be very lucky to have her as one of the best Nannies in DC." "Maria is the most amazing, reliable, energetic, and resourceful childcare provider we have ever been fortunate enough to employ. We have two boys and Maria worked with our family for over two years and truly became an irreplaceable part of our family. She embraced her job and our children with outstanding enthusiasm. She played with them, baked with them, and carpooled to school, activities, play dates and parties. She was always ready with a book or hug, and the boys looked forward to seeing her each morning. Maria even taught our oldest Spanish, which he still practices! At the end of the day she would always prepare a delicious meal. We'd come home tired after a long day, to find the boys bathed and ready for bed. The house was neat; the dishes were always put away. The best part was that the boys were happy and content. My husband and I completely trust Maria, we did give her our two most valuable possessions to care for and I absolutely believe her nurturing has helped shape them into the wonderful children they are; resilient, confident and content people. 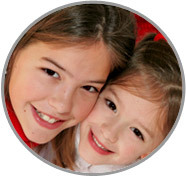 We highly recommend her as one of the most impressive and dependable Nannies in DC." "Maria has become a major role in my children’s lives! She is an extremely personable, kind, and caring person. Maria is able to multi- task very well. She also is a patient educator. We learned many things from her. She guided us when we were unsure how to handle a particular situation. I highly recommend Maria for any position among the Nannies in DC. We always felt secure leaving her with my children. The children grew very fond of her quickly. Maria is a very reliable and trustworthy person! In today’s world, with our hectic lives, it is so nice to have someone like Maria to help with our family!" "In the time of her employment, I feel that Maria was very capable of all the requirements I asked of her and then some. She interacted well with my children, as well as, adults! She is very nurturing and has a loving personality about her that we all enjoyed. We loved having Maria work for us, and our children were always delighted to have her care for them. I found her to be mature, respectful, and a very warm person. I enjoyed her company and was always open to her ideas and suggestions. I fully trusted her with my children and home and feel she will be that way with all the families she should come in contact with. She is very easy going and very adaptable and will definitely stand out among other Nannies in DC!" "Maria has worked for us for a very long time. Maria has been a dependable and loyal addition to our family. She loves our children and they adore her as well. She has taken the initiative to take on additional responsibilities as time passed and the needs of the children changed. When the children were young, she kept them in a nurturing environment, and when they grew older she kept them busy with play dates. Maria keeps the house very neat and she has been very good about teaching the girls to clean up after themselves. She is very good about reinforcing manners and good behavior. I feel very lucky to have had her as long as we have and I am sure that another family would benefit from her working for them as one of the Nannies in DC."